Tempestuous Thursday I: “Poem as Mask”, by Muriel Rukeyser. As you might understand by now, I like the poetry of Muriel Rukeyser, and to no small degree. We’re going to take one last look at her, with a few particularly beautiful lines that might give the reader an idea of the general direction of her poetry. In my opinion, Rukeyser is there with the greatest English-speaking poets of the 20th century, somewhat unjustly forgotten, probably because her life’s story is not as sensational as, say, that of Sylvia Plath. Her poetry alone, though, is among my favorites of all time. So, enjoy. And probably grab a copy of her work, should you find it. They’re certainly a worthwhile read. 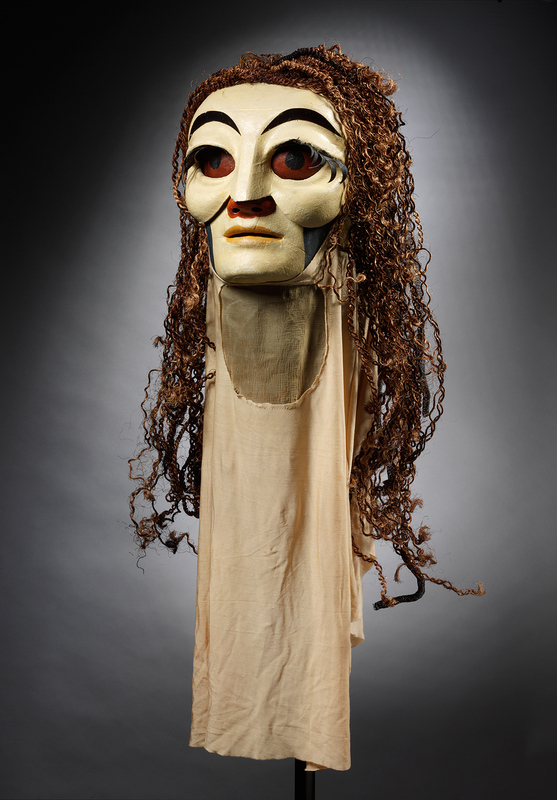 Theatre costume for the opera ‘The Mask of Orpheus’ by Jocelyn Herbert, 1986.
of rescue from the great eyes. No more masks! No more mythologies! the fragments join in me with their own music. The Moodbreaker: Muriel Rukeyser, “Publisher’s Song”. I wish I could find a way to start an article with these lines. Poem from here. Have a nice weekend, everyone! All the poems of Shelley and Keats.